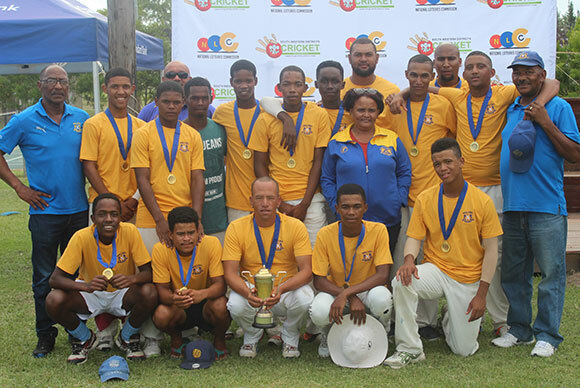 Union Stars B retained the SWD Reserve League title on Saturday when they defeated George B by 175 runs in the final that was played at the NMU Madibaz campus in George. Joviano Tock (66) and Anver Venter (50*) with the bat together with Allan May (5/13) with the ball were the heroes in this comprehensive victory. Union Stars posted a competitive 246/8 and thereafter dismissed George for only 71. In terms of the new league structure that will be implemented in 2018/19 Union Stars B will now be promoted to the Promotion league. 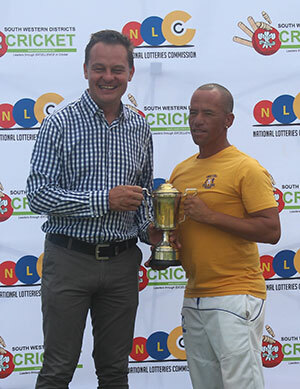 Hannes van Niekerk, captain of George B, receives the runners-up trophy from Albertus Kennedy the Chief Executive Officer of SWD Cricket. 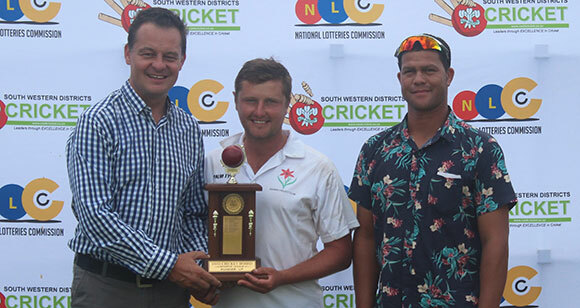 On the right is Pieter Stuurman – the Club Cricket Coordinator of SWD Cricket.